The year 2018 proved to be another time that Maryland was “open for business.” Under the guidance of Governor Larry Hogan, the Port of Baltimore had a record performance at our state-owned public marine terminals. A record 10.9 million tons of general cargo were handled at the public terminals, the third consecutive year it had vaulted the 10-million-ton plateau. One of the reasons for that record amount of tonnage was our containers. Last year, a record number of containers crossed our public piers. With our 50-foot deep channel and berth and our Neo-Panamax cranes, we can handle most of the largest container ships in the world today. To help deal with that growth, Ports America Chesapeake, which operates our Seagirt container facility, is making significant investments in new equipment and infrastructure. Handling the increased growth has presented some challenges, but we are working closely with Ports America Chesapeake and our trucking community to address them. Our Port once again handled more autos than any other U.S. port. Our unique quality program and geographic advantage as the closest East Coast port to the Midwest continue to be key factors in our success. Baltimore’s reputation for vehicle handling is also boosted by the presence of four on-dock vehicle processors. Last year also saw continued growth in our high and heavy sector, comprised of farm, construction and mining machinery. After several years of challenged Eurozone economies negatively impacting this commodity, we have seen good progress recently. Baltimore has remained the nation’s top roll-on/roll-off port with 50 percent of the East Coast market share. We also continue to be a leading port for forest products. We offer our customers outstanding facilities, including state-of-the-art transit sheds. Add to that operational efficiencies, deep water, a proximity to large consumer groups and a reputation for damage-free handling, and it is apparent why we continue to be a very strong player in international trade. Our profile as a cruise port continues to grow. Carnival and Royal Caribbean, two of the world’s largest cruise lines, sail from the Port year-round to the Bahamas, Bermuda and Caribbean. Our cruise terminal’s location, immediately off Interstate 95, has allowed for easy access for many of our passengers arriving from neighboring states. Passengers this year will notice many new improvements inside our cruise terminal that will make their experience pleasant and memorable. 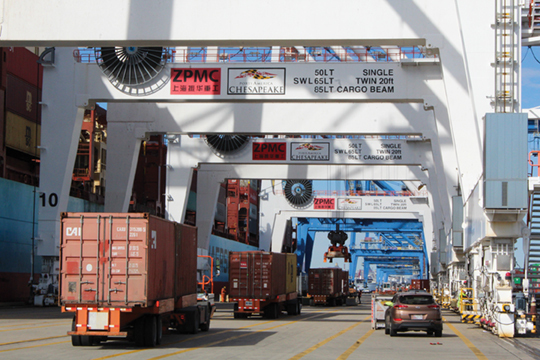 The Port continues to serve as one of Maryland’s top economic engines. Our men and women, including our highly skilled labor force, are second to none. They are the reason that we will continue to grow our business and remain one of the busiest ports in the nation. 2018 was another record year for general cargo at the Port of Baltimore’s public marine terminals! The Port handled 10.9 million tons of autos and light trucks, containers, roll-on/roll-off (farm, mining and construction equipment), forest products and breakbulk cargo at the state-owned terminals. 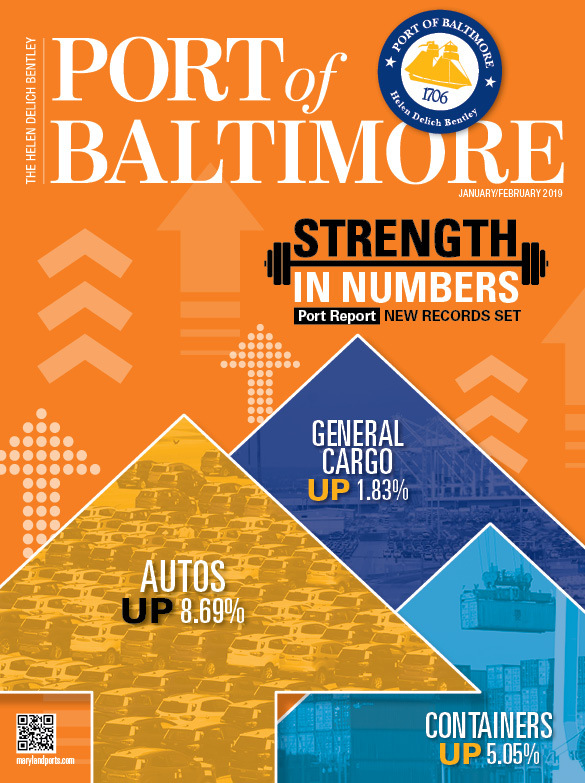 In addition to general cargo, records were set for both containers and cars/light trucks as Baltimore continues to handle more vehicles than any other port in the nation. Roll-on/roll-off saw an increase, and overall the Port’s market share for that cargo continued to lead the nation. As such, the Port remains one of Maryland’s leading economic engines. For the first time in its history, the Port of Baltimore crossed the 1 million TEU threshold and extended its streak for container growth to 10 years. Vessels visiting the Port continued to get larger, and, in 2018, the Port welcomed the largest vessel to ever call at its Seagirt Marine Terminal, the 11,000-TEU Gunde Maersk. Ocean carriers have indicated their intention to continue bringing these larger class vessels to the Port, as it has the capability to handle 14,000-TEU ships. Shippers have responded positively to the Port’s advantageous location in the middle of one of the largest and wealthiest consumer groups in the nation. Potential tariff impacts have also accelerated cargo growth throughout the region. In addition to the new gantry cranes delivered in 2018, Ports America Chesapeake has planned infrastructure investment in more container-handling equipment, which includes a commitment for another complement of Neo-Panamax ship-to-shore cranes. Further supporting these developments, the Maryland Department of Transportation Maryland Port Administration (MDOT MPA) received a $6.5 million federal grant to create a second deep-draft berth at Seagirt. A new near-dock chassis yard recently opened, allowing for more cargo capacity at Seagirt. Distribution center growth also remains robust near the Port as millions of square feet of warehouse space was delivered in 2018. This trend will continue in 2019 as beneficial cargo owners and developers are expanding existing operations and building new facilities in anticipation of more Port-related volume. 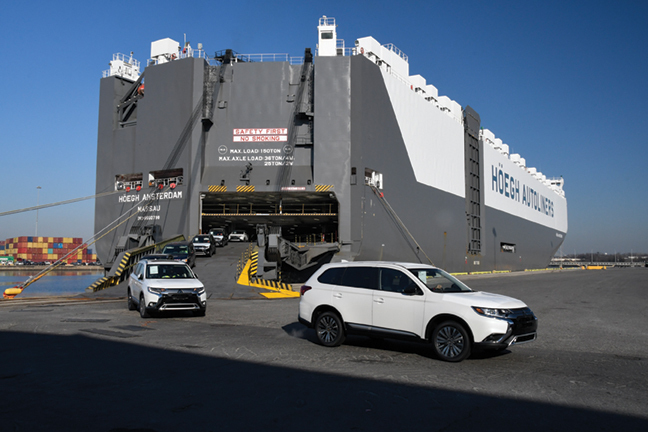 For the eighth consecutive year, the Port of Baltimore handled more cars and light trucks than any other U.S. port, with 850,147 units. Concentrating more specifically on the state-owned marine terminals, a record 636,575 cars and light trucks crossed the public docks last year, including a record 442,838 imports. Most of the Port’s auto-manufacturing customers had volume increases in 2018, especially Mazda, Mitsubishi, Nissan and Subaru. Chrysler imports were also strong. The Port’s exotic original equipment manufacturer customers, such as Lamborghini, McLaren and Aston Martin, all had increased volumes as well. The Port’s healthy used-car export market to Africa was also strong again. Total 2018 U.S. auto sales were $17.3 million, with light trucks and SUVs accounting for 65 percent of the market. Baltimore’s advantages as an auto port are many. For imports, Baltimore’s geographic location as the closest East Coast port to the Midwest allows cars to be shipped to inland destinations in the most cost-effective and efficient manner. The same geographic advantage also helps with export autos coming from the Midwest. The Port also offers auto manufacturers choices, with four on-dock auto processors, a large number of haul-away trucking companies and all major ocean carriers. 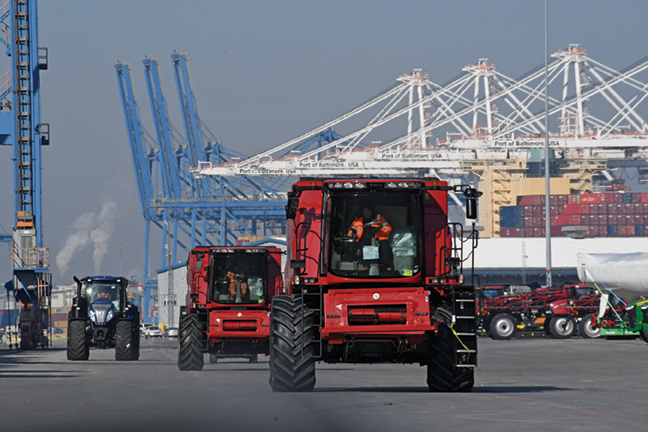 With its unique quality assurance program, Quality Cargo Handling Action Team, or QCHAT, Baltimore guarantees that each auto leaving or arriving receives top-notch handling. With these benefits in its back pocket, it’s easy to see why Baltimore continues to have great success with the auto industry. 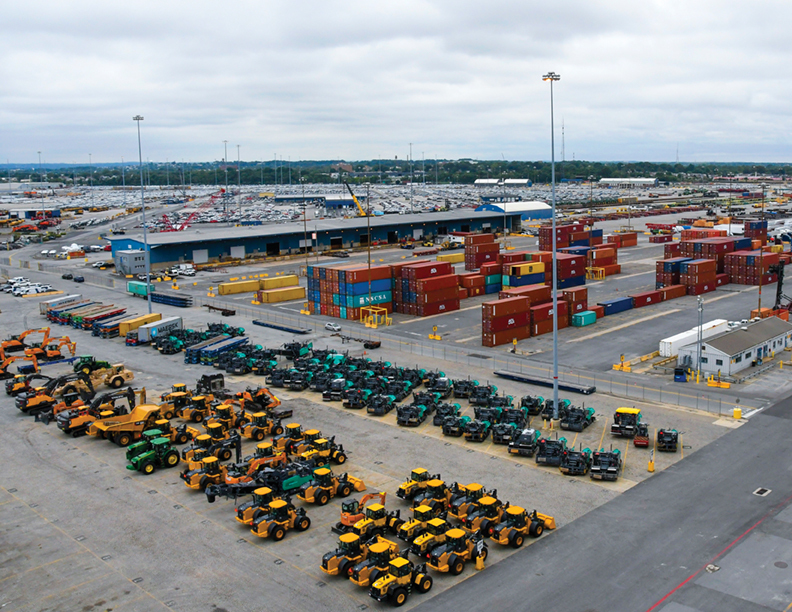 Roll-on/roll-off cargo continued to grow at the Port of Baltimore in 2018. Although international market conditions created some ups and downs in this commodity, the Port remains the top U.S. port for high and heavy farm and construction equipment. Leading manufacturers John Deere, Caterpillar and CNH Industrial all had positive 2018 campaigns. There was also some new business with Oxbo, Rapid and Morooka. Another positive sign was the continued rebound of the mining industry. Port customers Doosan and Volvo Construction each enjoyed successful years. While imports are expected to remain strong, the strength of the dollar and uncertainties over tariffs will likely slow exports. Baltimore’s success in the roll-on/roll-off market stems from many factors, including its location as the closest East Coast port to the Midwest, a large and diverse group of competing ocean carriers and a unique and unrivaled quality program that brings together all the key players in the ro/ro supply chain. The Port’s strong reputation for efficiency, quality and labor are all factors that encourage shippers and carriers to use Baltimore for their ro/ro cargo. Metsä Board of Finland continued to ship paperboard for products through the Port. The newest mill in Sweden manufactures folding box boards for use in the food packaging industry, which was a new product line for the Port in 2017. With the increase in online shopping, there is an even a greater demand for packaging material. The Port is fortunate to have the services of one of the top international forest product manufacturers, UPM of Finland, which is in its third year of a 10-year contract. The Brazilian eucalyptus wood pulp that had been arriving for years was shifted to a private terminal within the Port in late 2017. Some of that volume is returning to the state-owned public terminals in 2019. 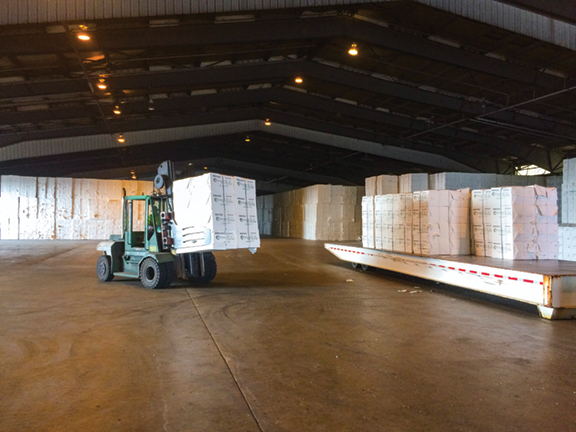 As a longtime national leader in forest products, Baltimore offers its customers outstanding facilities, including state-of-the-art warehouses. Add to that operational efficiencies, deep water, a proximity to large consumer groups and a reputation for damage-free handling and it’s easy to see why Baltimore continues to be a strong player in this market. While breakbulk was down in 2018, much of that was due to cargo shifting from the Port of Baltimore’s state-owned marine terminals to private terminals within the Port. The greater Port remains a viable breakbulk port. The Port’s proximity to Pennsylvania, West Virginia and Ohio makes it an ideal port for handling cargo destined for those states. The power-generation market and the auto-press projects going to Detroit have also gone through the Port. An ongoing export business of nuclear casts, weighing up to 300,000 pounds, with accessory crates weighing up to 80,000 pounds, came through the Port on their way to Russia, South Africa and the United Kingdom. The public terminals have made significant inroads in recent years with other breakbulk cargos, including wind turbines, transformers, locomotives and refinery and energy production equipment. Two heavy-lift cranes and enhanced on-dock rail capabilities allow direct discharge on and off a ship. 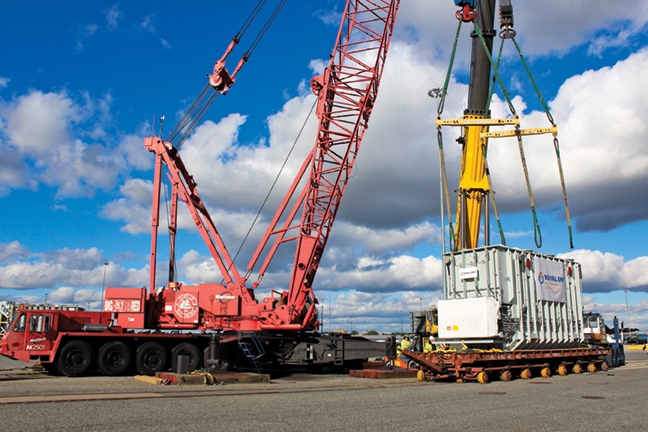 The Dundalk Marine Terminal sports three heavy-lift pads with a capacity of 32.5 tons per axle per pad that helps the Port with heavier loads. The Port of Baltimore continues to be a popular cruise port. Carnival Cruise Line and Royal Caribbean, two of the world’s largest cruise lines, sail year-round from Baltimore to the Bahamas, Bermuda, the Caribbean and New England/Canada. Last year, the Port offered 94 home port and four port calls. In 2018, in addition to Carnival and Royal Caribbean, the Cruise Maryland Terminal also welcomed the AIDA Diva, Hebridean Sky, Asuka II, Artania and Korean Navy ships. 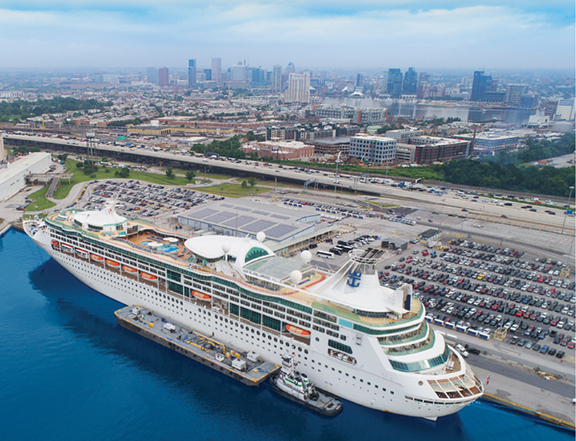 With the Cruise Maryland terminal optimally positioned immediately off Interstate 95, Baltimore regularly attracts cruisers who can drive from neighboring states to reach their ship. In addition to being an excellent drive-to port, Baltimore also benefits from having three Class A airports and Amtrak train service in the region. The MDOT MPA made several improvements to the Port’s cruise terminal, including expanded restroom facilities, new carpeting, a new VIP lounge, a new PA system with monitors and new ticket kiosks. Passengers love the enclosed breezeway, which protects them from inclement weather from the terminal to the ship. A new passenger waiting area was also added. With an ideal location within one of the largest U.S. consumer markets in the state with the highest median household income, the Port continues to be an attractive place to start a cruising vacation. Your gateway to your getaway!